Delivery time: Usually 2-3 working days. Please call for availability. A funky little bike to start your little on pedalling. Its triple butted alloy frame makes it super lightweight at just 5.8kg. 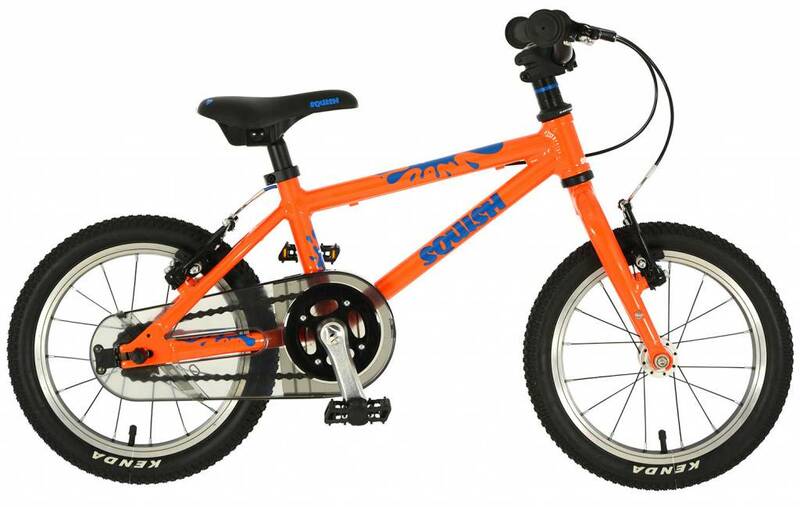 Its well designed features such as shortened cranks and stem means it fits young children much better than most kids bikes. The junior specific v-brakes combined with the CNC braking surface on the rims gives the feel, power and durability you would expect of an adults bike. 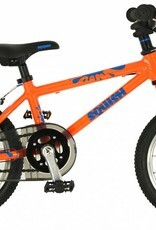 It has 14" wheels and an 8" frame making it suitable for children 3 years and above. Tyres: Kenda Small Block Eight 14 x 1.5"